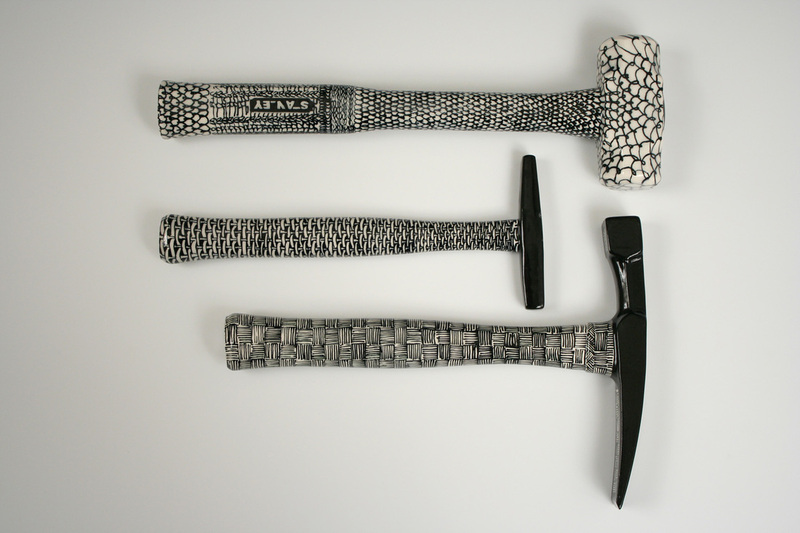 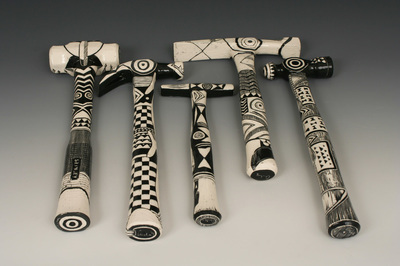 The hammer series developed when, saturated with talk of weapons of mass destruction, I started contemplating weapons of personal destruction. 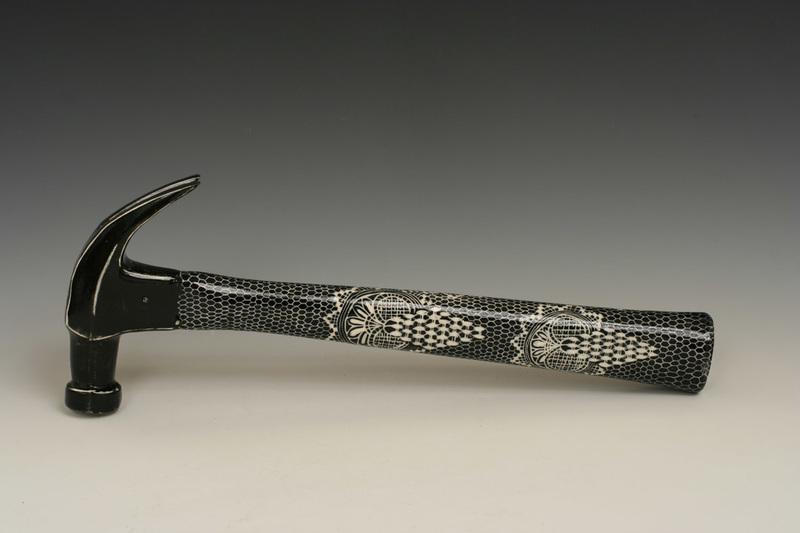 While the hammer does not leap to mind as an efficient “weapon” of any kind, in the context of murder mysteries, of which I am fond, it fits the bill for a crime of passion. Having made one hammer, and found the form compelling, I discovered a world of different hammers with specialized functions, none of which will work here. One certainty of making porcelain hammers is that their use heralds their destruction, hence the title “Conflict of Interests”. My tendency towards ornament points me to the tradition of embellishing everyday tools in disproportion to their use, transforming them into objects of beauty and a joy to use. 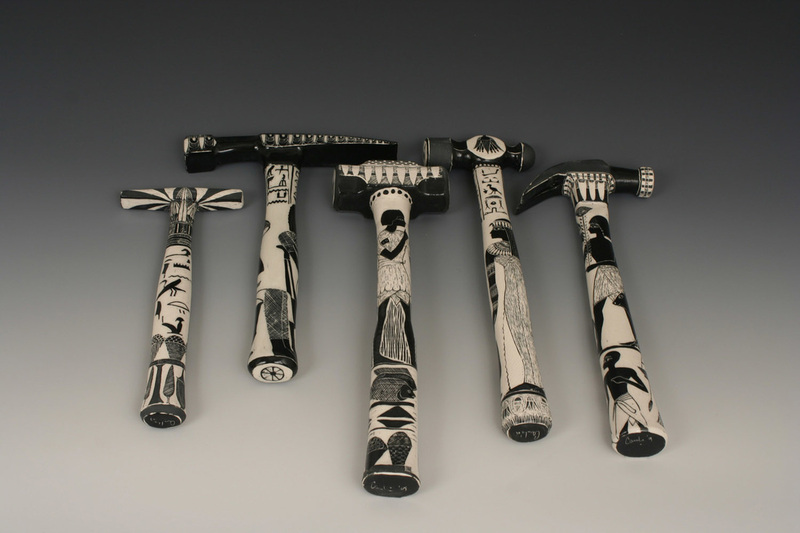 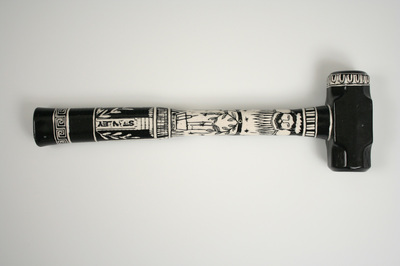 Carved drawings taken from ancient civilizations alternate with slip-trailed investigations of pattern and texture.